The Sunday Team reached their first ever Reporter Cup Final under the management of Slim Nijjer (yes the landlord of Guru's local pub Bat and Ball). The amazing thing about reaching the Final was at the time we were in the First Division and no team had ever won the cup from outside the Senior (Premier) Division. The rule book was about to change…. ‘Amid a cacophony of beating drums and cheering supporters, Guru Nanak won the Reporter Cup on Wednesday. The Indian side, from Division 1 of the North Kent Sunday League upset the form book to beat Senior Division favourites Bowsports, and in the end nobody could deny them their victory. Winning the cup that year was extra special as we were from Division 1, we beat 3 Senior Division sides to get that far. In the Preliminary Round we beat Intersports 11-0, 1 st Round Greenhithe Leg 4-0, 2 nd Round Meopham Reserves 7-0, 3 rd Round Old Saxians 1-0, Quarters Wellcome Athletic 2-0 after extra time, and in the Semis we trounced The Sun 3-1, Sukhi, Hutch and Amrit scored. Captain Gabi Bassi lifted the trophy to the delight of the crowd. The same team also come Runners Up in Division 1 winning promotion. In the summer we went onto win the Kent 5-a-side Tournament for the first time in our history. The Saturday Team ended Runners Up in both the League and Mallison Hospital Cup. We won Southall Tournament. We beat Southall Tech in Round 2 with a Mohinder Benning goal and Hounslow in the Semi Final thanks to some fine goalkeeping by Jaspal Mann. We beat Sapna in the Final 3-1 – this was the game in which Sukhi Bhatti tried to rearrange Bhajan's fist with his face. Nirmal Dingri missed his mate's wedding to play in the Final and we were so short of players for the Final that Bhagoo had to play – having retired years before. Guru's had their first ever Tour abroad in the summer of 1983; Belgium Tour - in between games Blankenberge Beach was visited - a rare photo in the Gallery section can be seen in 1980's team pictures. At Derby we won the First Round easily and in the Second Round played a strong Sapna Leicester team, the score was 2-2 after extra time. Vincent O'Brien decided to flatten Bhajan who promptly tried to flatten Vinny (lucky Hutch was there to grab him) and got sent off. We were rubbish for most of the game, but still won on penalties. In the Semi final against Birmingham Wondervaults we were trailing 3-1 with 20 minutes left. Wondervaults thinking the game was won then took off their star semi pro performer but we scored twice to take the game into extra time, the semi pro done his nut on the touchline. With there being no further score the game went to penalties, we won to reach the Final. In the Final we played the home side Khalsa Derby. Vincent had an excellent game in goal. And with about 20 minutes left Manjit Atwal scored the all important goal to capture another historic tournament win. We also won Gravesend Tournament again after a 6 year wait beating Southall in the Final. This was special we did it the hard way playing three games to get to the Final whereas Southall had a bye to the Final. We also were Runners Up at Birmingham . The Saturday Team come Runners Up in the League Cup and the Sunday Team won promotion to the Senior Division by winning Division 1 in the North Kent Sunday League. In the Southall Tournament we played a very strong Singh Sabha Slough side, with several semi-pro's in their ranks, we managed to win 1-0 with Avtar Kang (Ginger) scoring the only goal. In the Semi Final we beat Sapna Leicester again, this time 2-1. The Final was a very one sided affair as we wasted host team Southall Tech 4-0. We also won Gravesend Tournament as holders from the previous year. This was the season we won the Kent Junior Cup A Trophy. In the Semis we played Bearstead, they were all over us and were winning 1-0 but missed a host of chances, vulture Jess Biring equalised to set up an equaliser at our ground. In the Replay we won 2-1, Surjit Atwal put us 1-0 up, they equalised, and then Jaswinder Bhens (Beano) scored the winner. This was the game in which Jacko Manik reportedly tried to get himself killed at the end of the game – saying to one of their players – who was about six foot eight the classic never to be forgotten line "how does it feel to get beaten by 10 wogs and a paddy?" The Final was played against Sheppey at the Isle of Sheppey, we took a coach load of supporters. We were 1-0 down then before half time then John Cheema scored. Manjit Atwal made it 2-1 and that proved to be the winning goal. We won the Gravesend Tournament for the third year in succession, home advantage was proving to be too strong for the other teams. Gravesend Tournament Winners for a record fourth time in a row. Also won Derby Tournament and came Runners Up at Birmingham . We won the Gordon Charity Cup. We were Winners of Derby Tournament. We were Runners Up at Slough Tournament and Birmingham . 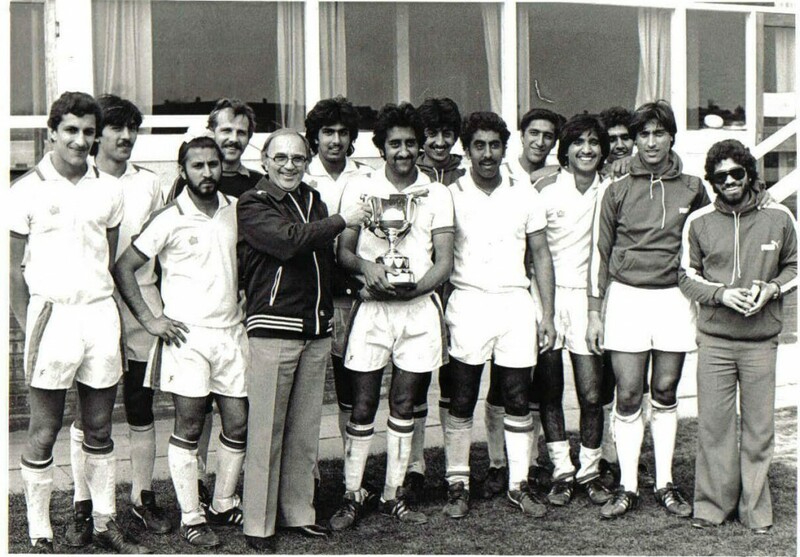 We were Reporter Cup Runners Up losing to The Sun. We won Gravesend, Wolverhampton and Bradford Tournament. We come Runners Up at Coventry . We made 4 out of 5 A Section Finals in one year. We were clearly the best Asian Team around in the whole of the country in this era. At the Wolverhampton Tournament we beat Mahal Warriors Birmingham in the Semi Final in very one sided game. They did everything but score and then Harjinder Khandola (Hutch) scored two goals in the last 10 minutes to steal the game. We stuffed Walsall 4-0 in the Final.